Warner Brothers has revealed a highlight reel "trailer at San Diego Comic-Con for the upcoming animated series Justice League Action. No date has been given for the series but is expected in 2017. 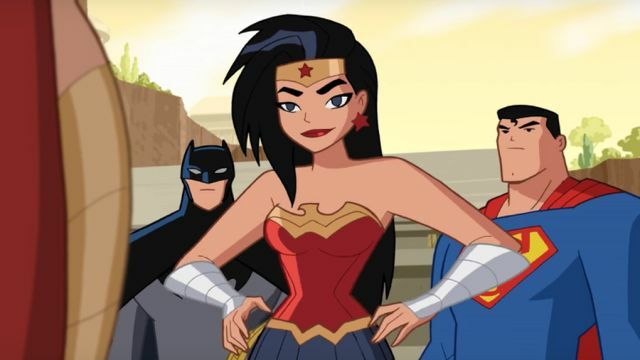 Justice League Action is officially described as follows: Batman, Superman and Wonder Woman lead the DC Comics Super Heroes against their most infamous foes in adventures packed with relentless thrills, fun and action. No need to wait for the good stuff to start, each eleven-minute episode jumps in with lightning-paced action and heroics. Whether defending the Earth, facing invaders from space, or battling the bizarre forces of magic, the always-rotating team of Justice League heroes, are up to any challenge.